Given the potential to deliver a significant speed advantage for the most latency-sensitive trading strategies, wireless networks are becoming more widely adopted in capital markets. Although deployment is relatively new, market participants have more options to integrate these technologies into their trading platforms than just a few years ago. 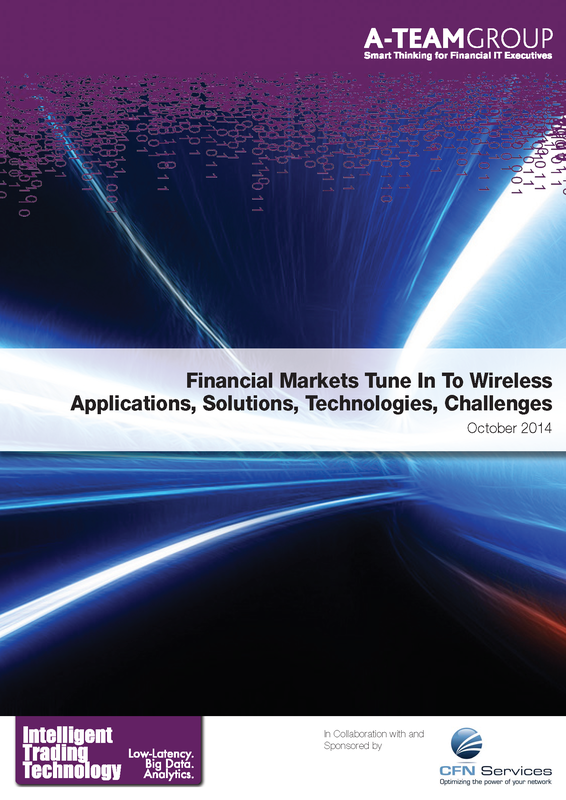 This industry briefing provides an overview of the key business drivers and technology imperatives behind the adoption of low latency wireless for electronic trading. Learn about what's involved in deploying and optimizing wireless networks for market data transmission and trade signaling. Discover new opportunities and approaches for integrating next-generation wireless technologies to deliver an edge in trading performance.